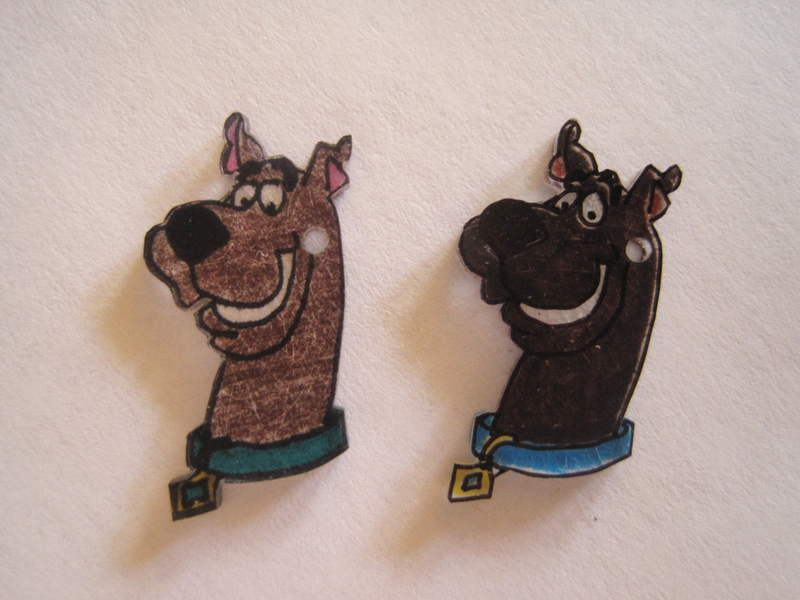 After all the Monster High Shrinky Dink Jewelry (The Girl's pair of earrings and about 5 other earring sets for her friends and a necklace for the one friend that didn't have pierced ears), I moved on to Scooby Doo. I thought I'd try to make a bracelet for Elder Boy's girlfriend and she LOVES all things Scooby. I started it a month ago but put it off for a while to tackle other projects. 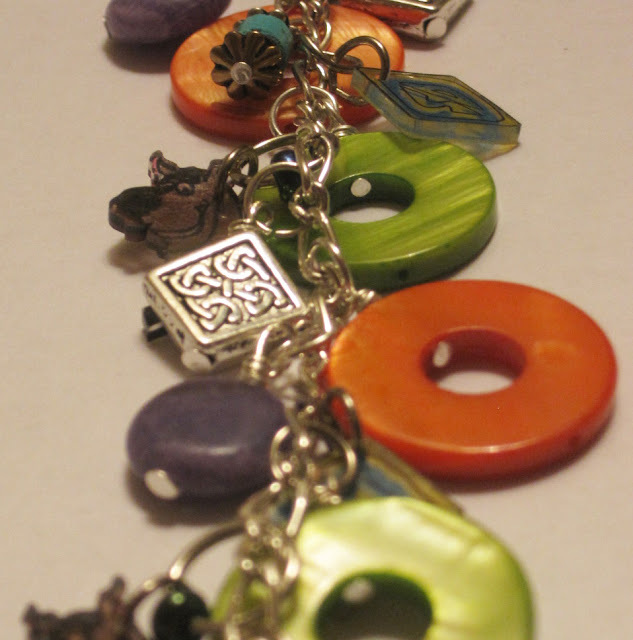 I started out by making several small charms with the Shrinky Dinks - both Scooby and Scooby's dog tag. I learned that the brown colored pencil was much better than the brown sharpie for this project. The colors get darker after they shrink. 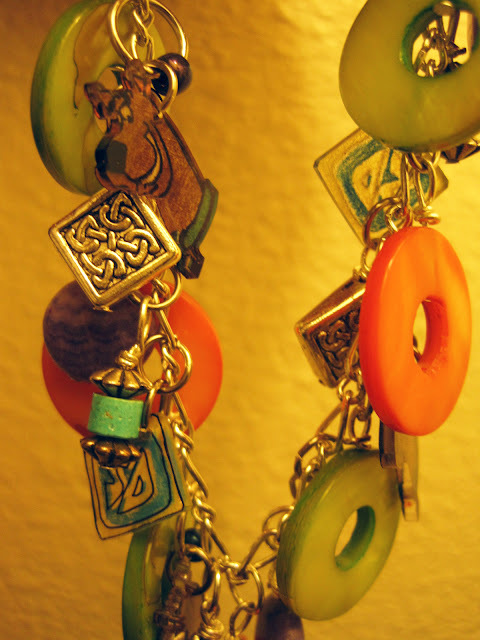 The rest of the bracelet was made up of "Scooby colored" beads.